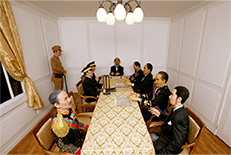 The 2nd exhibition Hall, ‘National Crisis by Japanese Imperialism,’ covers the period from the 1860’s to the 1940’s which is from the Korea’s first step towards modernization to the Japanese colonization period. 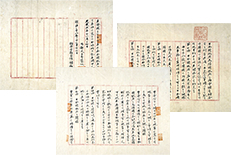 After the flow of changes in the modernization period and the revolutionary period to become a sovereign nation, Korea’s long history was interrupted by the Japanese invasion. You can view the struggles of the loss of national sovereignty. You can also see the distortion of the history of neighboring nations that still exist today. Hanseong Electric Company established by American H.Collbran started single railway building project for streetcars crossing Seodaemun and Cheongryangri while constructing Dongdaemun power plant in 1898, and started to operate streetcars in May, 1899. On the opening day, Jongro streets were crowded with tens of thousands of people and it is said that it took as long as I hour to travel by streetcar from Cheongryangri to Saemunan. 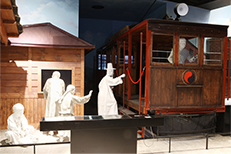 1900 opened the era of railroad with the opening of Gyungin railroad. Cheonyeondang Photograph Studio started its business in 1907 in Seoul is the first photograph studio established by a Korean. 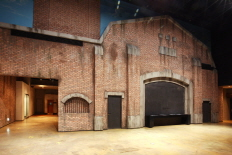 Kim, Gyu-jin, establisher and a famous painter, made a studio in the first floor of the photo shop and let the customers enjoy the paintings. 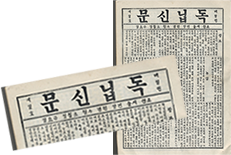 The First Issue of Dongnip Shinmun, which was the first Korean newspaper published by private sector. 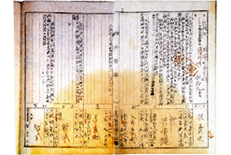 Illegal treaty by which diplomatic right of Korean Empire was deprived by the enforcement of Ito Hirobumi, special envoy of Japanese Emperor, to Korean government cabinet on November 17, 1905. Japanese Imperialism enforced Eulsa illegal treaty to deprive the Great Empire of Korea of its diplomatic right in Joongmyungjeon of Gyeongwoon palace on November 17, 1905. 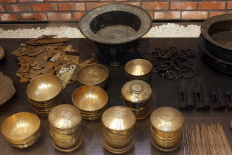 Japanese Imperialism Exploited brass ashtray, female shaman bells, small heart-shaped iron and brass spoon, etc in the name of so-called ‘public offering’ to make up for the insufficient supplies in conducting aggressive war. Census register compelled to change its name to ‘Hiroyama Hong’ from its Korean name of Hong, Soon-ryong living in 29, Myungryoonjung, Jongro-gu, Gteongseog-bu. Japanese Imperialism even compelled Korean name to be changed to Japanese name. 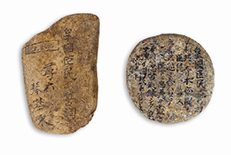 Stone carved with so-called ‘Imperial People’s Oath’ established in October, 1937. 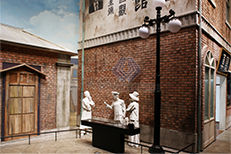 Prison in the period of Japanese occupation is one of representative colonial institutions where Koreans were oppressed and coerced. The Japanese Government General of Korea established many prisons to prevent independence movement of Koreans and arrested and oppressed them. Independence activists arrested by Japanese police suffered various tortures and severe punishment in the prison and some even died in the prison as martyrs. Oppressions to Koreans continued for a long time during the Japanese occupation, but Koreans’ will and aspiration for the independence never ceased to continue.